Here is the very unique, best solution to install the famous 20B into a 3rd gen FD3S. Q: How is this kit different from regular 20B subframe kits? A:This is not a subframe replacement. You retain your factory subframe, and not a single modification to the stock subframe is made. The steering rack is not moved and that is the most important difference. This allows NO bump-steer. 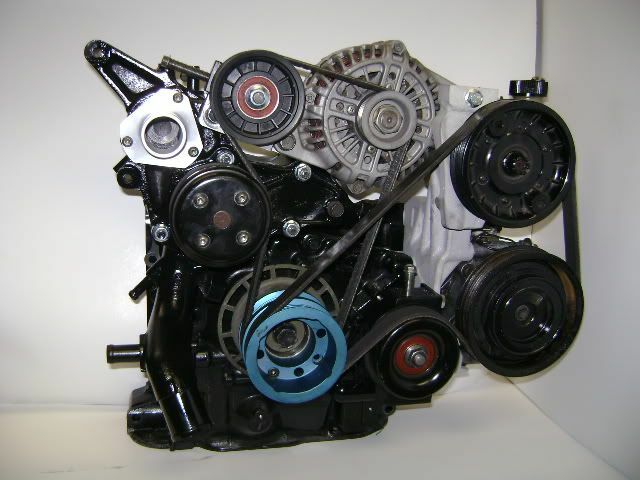 Since all the OEM parts are used, no danger of weak welds, or mis-alignment occurs. 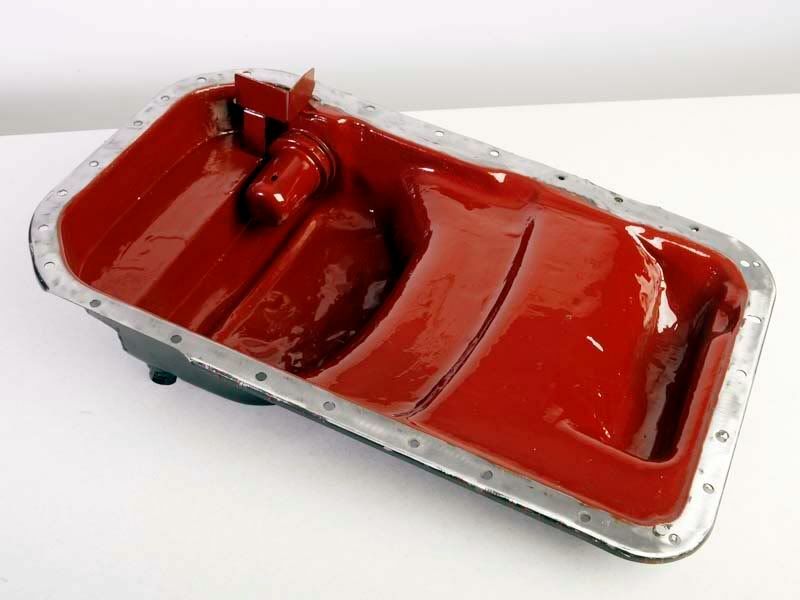 Q: Can I keep the stock transmission, and will the transmission stay in its factory place? A: Yes, the factory transmission is retained, and not moved from stock. This means no cutting of the PPF frame is made, thus making a much safer 20B powered Rx-7. Q:Can I keep my air conditioning? Q:Can I keep my power steering? A: Yes the kit is made to use all 93-95 accessories, and power steering. 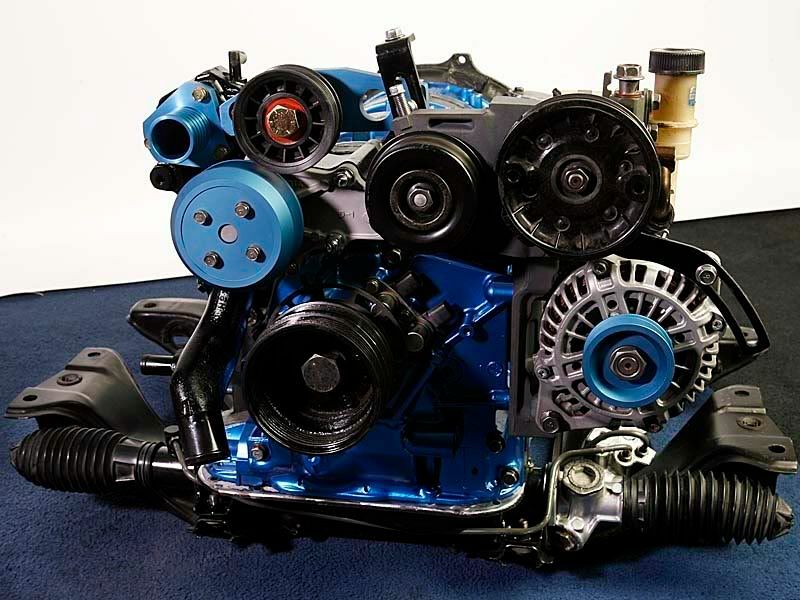 Q: Can I use the factory 20B intake manifold? A: Yes, but it must be sent in to Defined Autoworks to be sectioned and lowered, to clear the hood. Q: Can I still use this kit with the factory twin turbo's, and large single turbo's? A: Yes, both stock and single will work just fine. Just specify during ordering if its a twin turbo. Q: Will this kit work on Right Hand Drive cars as well? A: Yes, it will work just fine with Right Hand Drive. Q: Why not just use the 13B rear plate on the 20B, and FD engine mounts? A: This 13b rear plate method will not solve any problems of mounting a 20B. The 13B iron will need ported, and machined to work with the 20B. Then add to the fact it will use the weaker FD engine mounts, why go through the hassle? 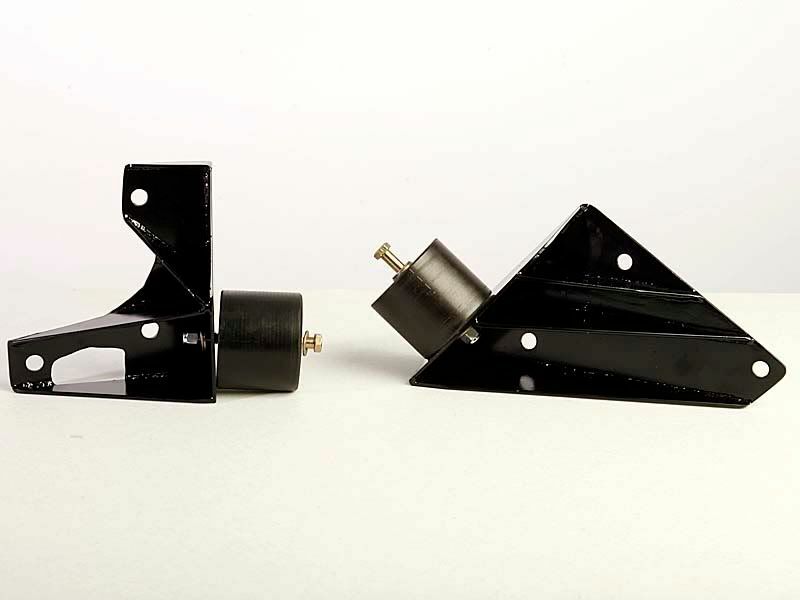 Our mounts are FAR stronger, bolt onto a all stock 20B, and drops into the factory subframe. This mean no teardowns are needed, and less work/aggriavation results. Q: If this kit is so good, why does everyone else do it differently? Q:What do I need to send in to be modified? A: The Steering rack, P/S bracket, 20B oil pan, Alternator tensioner(only for base kit), 20B intake manifold. Q: What is the turn-around time of the kit? A: Once we receive all the items, it will take 3-8 weeks. Pictures of the blue anodized kit. Note alternator location, and the new tensioner. And the machined waterpump outlet. Picture of the new deluxe kit, which keeps a/c and p/s. 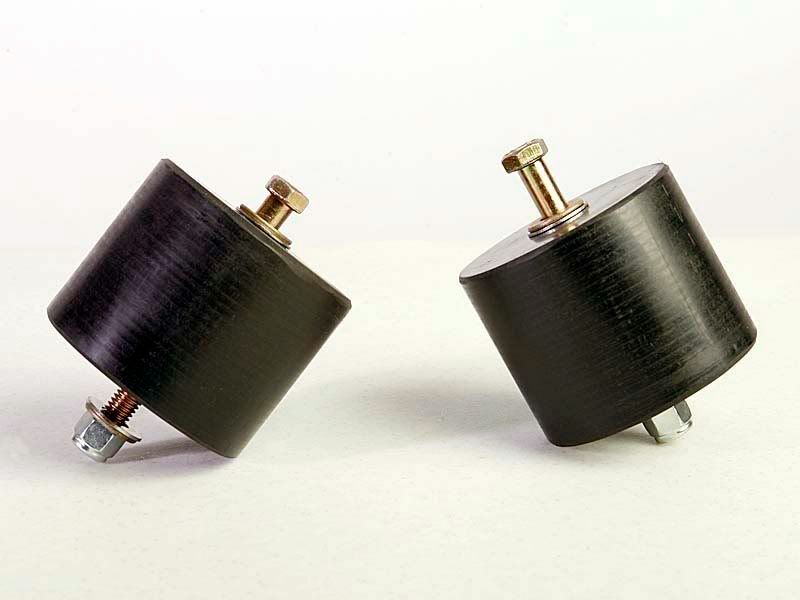 Tig welded motor mounts, with twin turbo provision. Shown with the now standard delrin mounts, and grade 8 hardware. 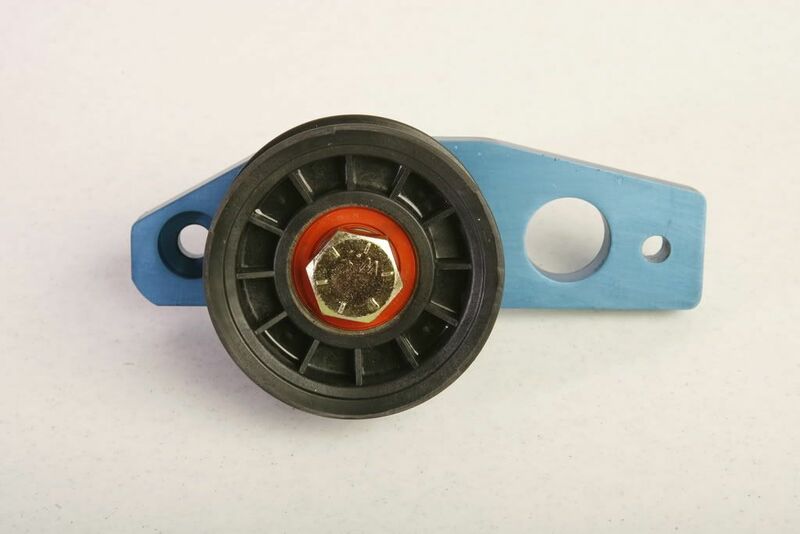 Machined tensioner, and ball bearing idler pulley. Grade 8 bolts and hardware. Anodized blue option. Modified factory 20b oil pan, with anti-sludge coatings, and new drain plug in the new location. 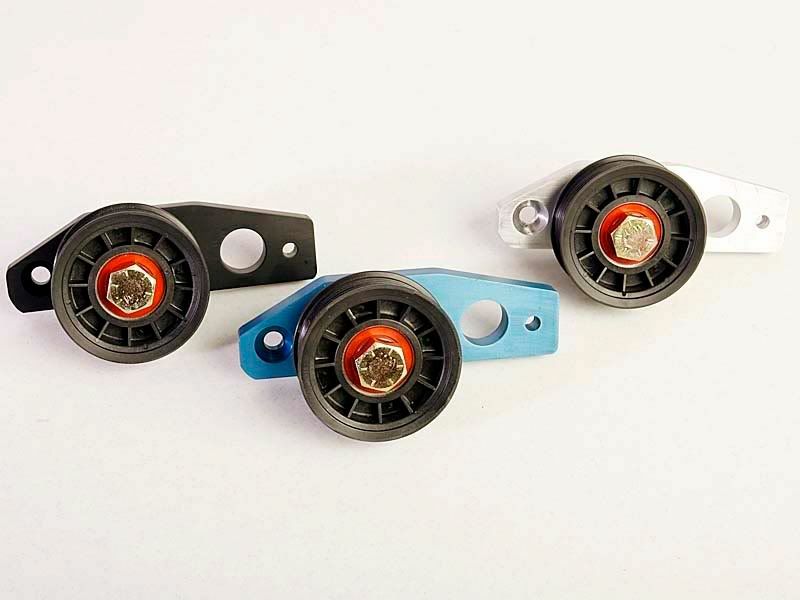 Just a few tensioners in three color styles. More colors are available. 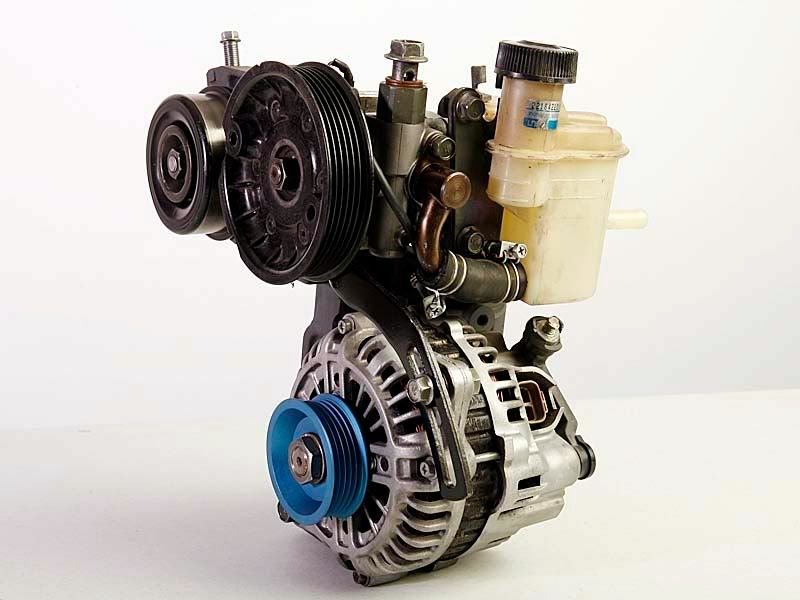 The modified p.s bracket with alternator relocation. What would the cost be if your not interested in PS or A/C and the steering rack is already modified for full manual? What exactly are you modifying on the 20b intake? Also, can the engine be lowered any? I currently have my engine lowered about 1cm. Last edited by thewird; 07-14-2011 at 06:37 PM..
Why can't the alternator go in its original location? Does it hit the hood? Thanks. Some more questions since I finally acquired my 20b block. Will this setup work with the 20b water pump or is the FD water pump used? Also, what is the cost if we don't need the LIM chopped? Thanks. Cant go wrong with Defined...Innovators for sure!! !